This project was completed some time ago in the forums, but I’m only getting around to posting it now. A big thanks to Snakeman, Spark Mandrill, Kaos, and General RADIX for their contributions to this ever-expansive project. View the entire gallery here and at the Sinister Six. 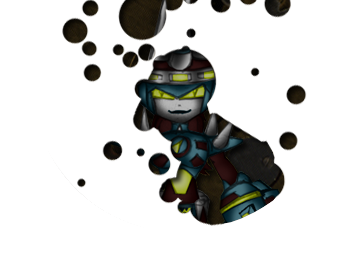 What’s more is that a long-lost part of Viral Infection’s history has now been found by Spikeman. Thanks, Spike! Now Chapter 1 of VI’s saga is viewable in it’s entirety. This entry was posted on Saturday, March 2nd, 2013 at 6:08 pm	and is filed under gallery, Sinister Six, viral infecton. You can follow any responses to this entry through the RSS 2.0 feed. You can leave a response, or trackback from your own site.